PlexConnect lets you navigate your Plex Media Center on your Apple TV in a native interface. A caveat: If you’re Terminal-shy, then PlexConnect’s probably not for you. While it doesn’t require a lot of command-line expertise, those who have never ventured into that territory may find it a hassle. There are plans to at some point package the software into a friendlier Mac app—it’s part of an ambitious road map—but for now, it’s go command-line or go home. On your Apple TV, you can browse or search your Plex content with your remote, as you would any other Apple TV function. Some content isn’t currently available, such as photos from Aperture and iPhoto, and there are bugs here and there. 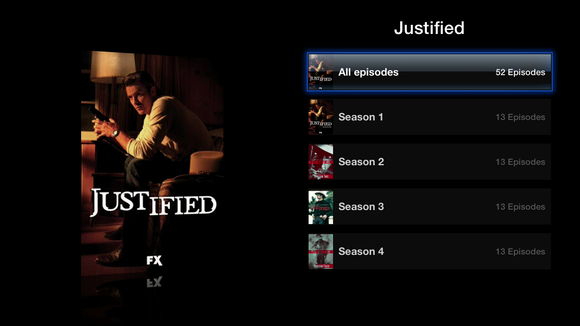 PlexConnect offers only a few configuration options on your Apple TV—you can choose whether you view your listings of movies, TV shows, and TV seasons in list or grid format, as well as tweak some transcoding preferences for video quality and subtitle size, along with some more technical options. 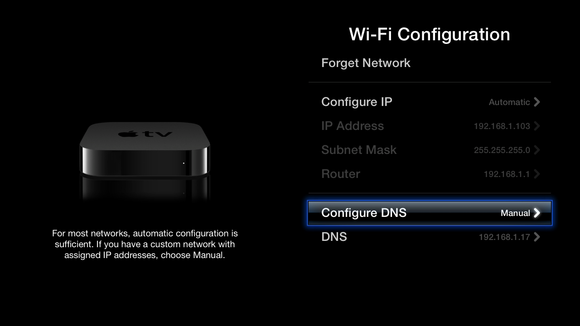 Once you've set up the program on your Mac, PlexConnect only requires that you reconfigure your Apple TV's DNS server. In a word, it’s nothing short of brilliant. But, in my experiences setting up the software, I did run into a few minor issues. The most obvious is that running PlexConnect will hijack your Trailers app, so if you want to watch movie previews from Apple’s site, you’ll need to either disable PlexConnect or find another solution. 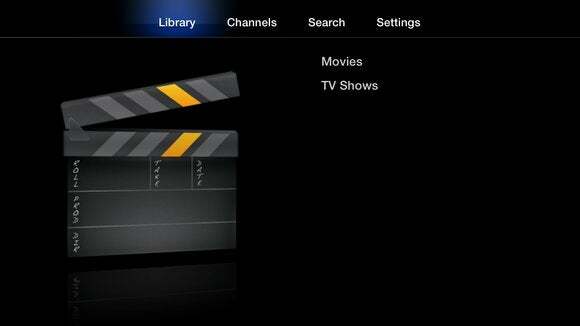 One limitation of the PlexConnect software itself is that it doesn’t yet fully support third-party video and audio channels on the Apple TV. The project’s FAQ notes that some channels, though, do work; I went through several and found only a couple that actually let me play back media, including Funny or Die and PBS. The rest I tried currently fail with a variety of errors before you can get to the actual video. 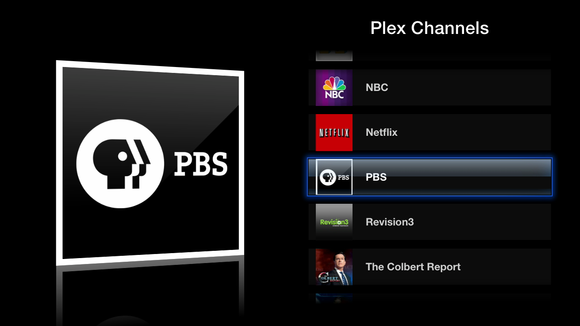 Most of Plex's third-party channels do not currently work via PlexConnect though there are a few that do, including PBS. At one point—I haven’t managed to figure out exactly why—PlexConnect seemed to interfere with AirPlay when I was trying to play videos from my iPad mini on my Apple TV; all I got was a constantly spinning loading indicator. Suspecting that PlexConnect might be the culprit, I shut the software down and AirPlay returned to its normal working condition. I’ve not been able to duplicate that in subsequent tests, though, so it’s possible it was an issue with my iPad. Admittedly, PlexConnect is a niche project, but to those who’ve been looking for a native interface to their non-Apple media on their Apple TV and don’t mind fiddling with some more technical details, it’s definitely worth a look.